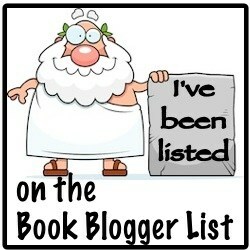 For most us, the closest we get to putting ourselves into the shoes of our ancestors is by reading about them. Some people, like Silvie and her mother and the other members of an experimental archaeology class, get to experience what their ancestors’ lives were like through reenactments. And, for most of us, this kind of experience is entirely voluntary. 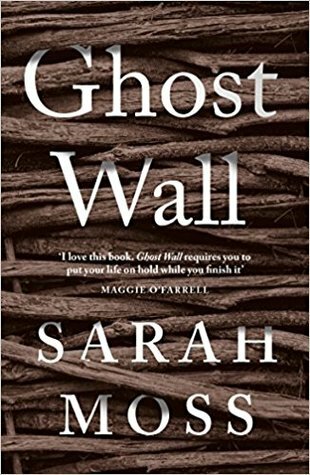 Not so for Silvie and her mother in Sarah Moss’s haunting novella, Ghost Wall. Where the students are trying to live and Iron Age life in a patch of almost-wild wood and moor in the north of England, Silvie and her mother are there because Silvie’s abusive father is obsessed with pre-Roman Britain. Ghost Wall does not wait to let us know that not all is right with this historical experiment. The prologue depicts a harrowing scene of a human sacrifice, based on what archaeologists and historians theorize might have happened to some of the Neolithic bog bodies that have been discovered over the years. Just at the moment the teenage girl is about to be consigned to the bog, we are whisked away to Silvie’s irritation at having to live in a dark hut, sleeping on a bag of lumps, and wearing an itchy tunic. Her father has hauled their small family along to a semester-long class where students attempt to live as people did during the Iron Age. Living this way would be challenge enough—finding food in a place where cultivation and livestock have severely damaged the biodiversity, gaps in historical knowledge, the fact that none of the history students knows how to forage—but Silvie also has to deal with her father’s explosive anger and her shame about the abuse. The emotional tension builds unbearably as Silvie’s father grows closer to the professor who is supposed to be in charge of the reenactment. “Professor Call Me Jim” steadily cedes his authority because Silvie’s father seems to be the only person who knows how to keep the experiment going, even though the regressive gender roles and Silvie’s father’s peevishness don’t sit quite right with the good professor. The status quo might have held if Silvie’s father hadn’t started to wonder what it might be like to build a ghost wall. A ghost wall was believed to be a fence crowned with human skulls, built during pre-Roman times for protection against enemies. The men all throw themselves into the project, seducing themselves with faux mysticism. And then, Silvie’s dad suggest reenacting one more thing from the Iron Age: human sacrifice. Throughout Ghost Wall, there are small references to Silvie’s life at home with her parents. There was a time when Silvie enjoyed romping around England’s Iron Age and Roman ruins with her father. We never learn quite what changes this relationship, but Silvie reveals her father’s growing and disturbing fascination with bog bodies and finding a “true” British past, facts be damned. This theme could have been developed more, but Moss’s focus sharpens over the course of the novella as the reenactment slowly goes off the rails. Even though there are missed opportunities, Ghost Wall is a chilling, original story and definitely engrossing. If nothing else, Ghost Wall teaches us a very important lesson: once the reenactment leaders start ordering people to put skulls up on a fence, it’s time to pack your bags and go home.